In photoshop, I resized the image and converted it to a bitmap. 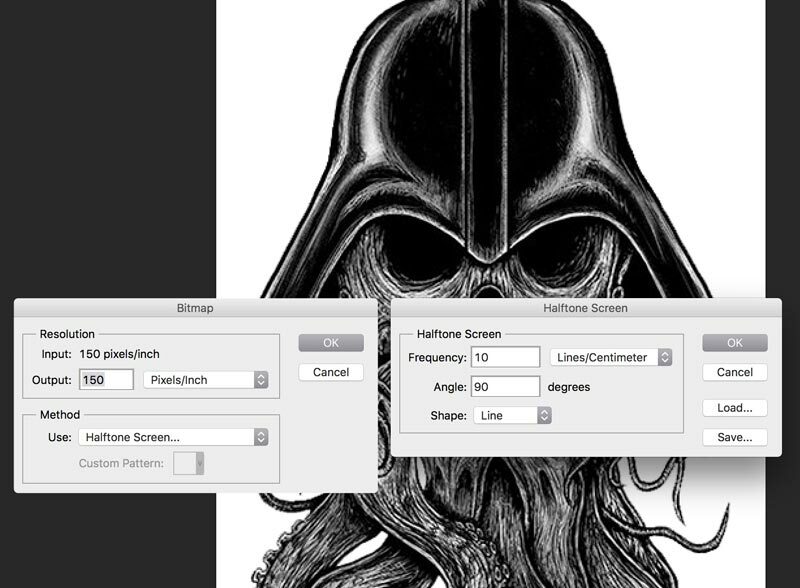 Within the bitmap settings there are a number of different methods, each producing different pixelation effects. I wanted to make something expressive of vertical lines so I used the "Halftone Screen..." and after a few tests, came to 10 Lines/cm, 90 degrees (vertical) angle and the "Line" shape. I also found adjusting brightness and contrast before producing the bitmap to be helpful in effecting the white to black ratio. 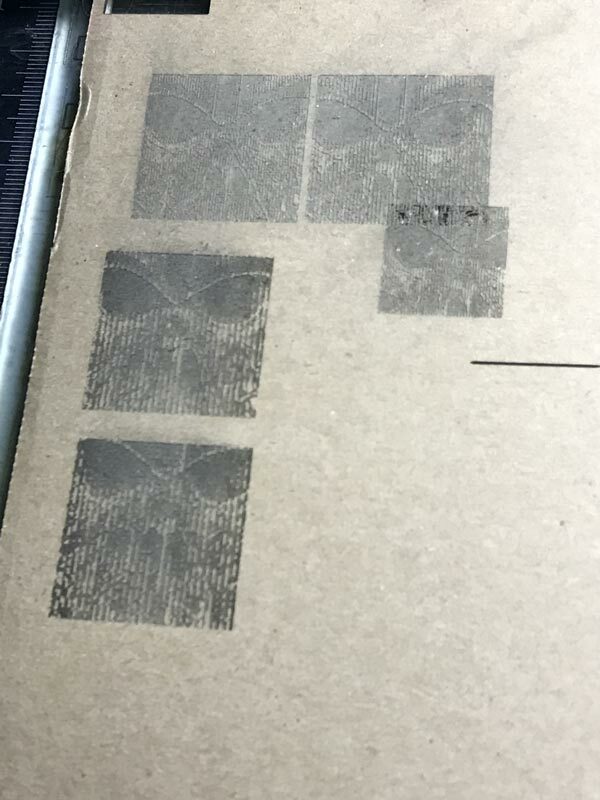 I was able to send the job to the cutter directly through Photoshop's print command. 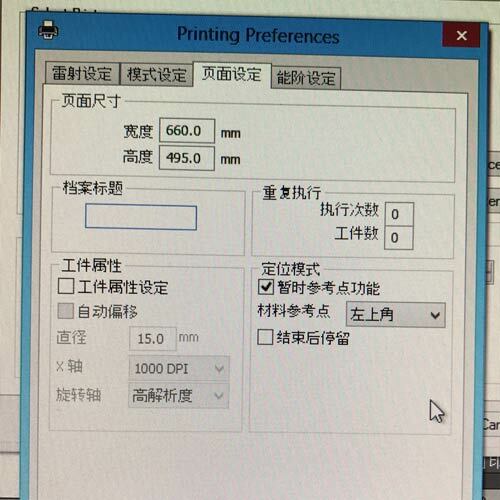 Remember to run through the printer specific preferences. I was only concerned with the settings for the black, 1. After testing a few different combinations, I thought 40 power, 90 speed, and 500 PPI was okay. 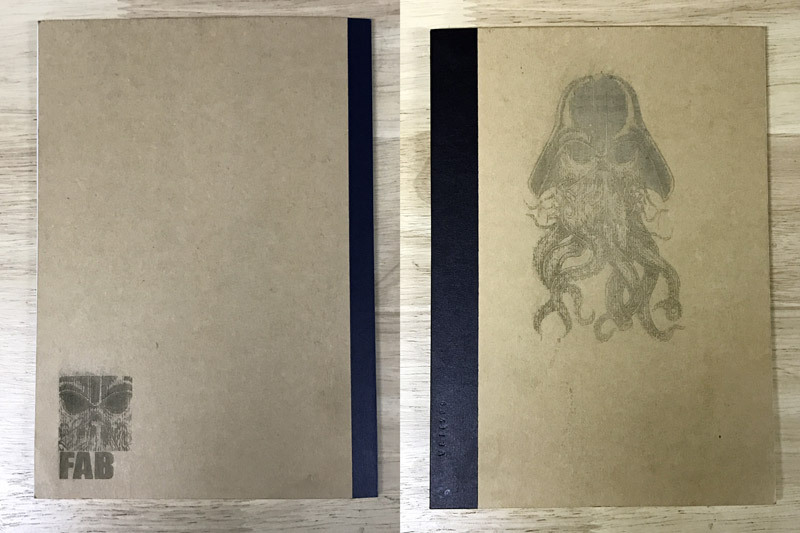 I do wish the final product had more darkening from burning. Another time, I will test more combinations to try to isolate the variables that encourage burning in etching. On the second tab, I check only etching and the black. On the third tab, within the checked box I can tell the machine where to assume the origin according the position of the laser head at the start of the job. 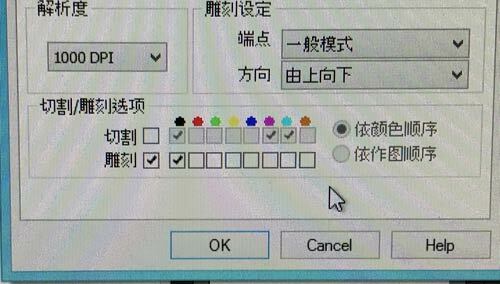 I need to get translations of all the options within the box, this one I know is upper left. Perfect. 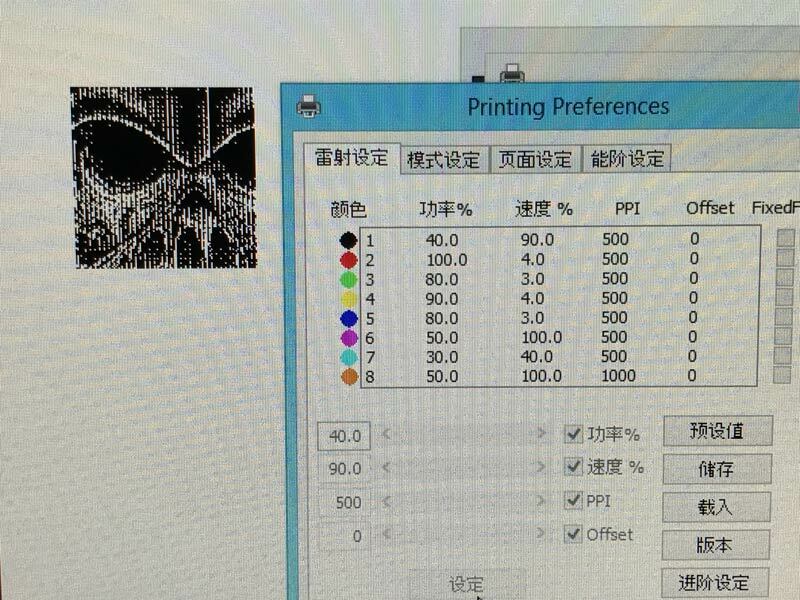 When using this type of printing, I adjust the bed size to match the image size. Change the 660mm x 495mm to 30mm x 30mm for the test and about 70mm x 120mm for the final. Laser etching from a bitmap is a significantly longer process for the cutter. Each of these 3cm x 3cm images took around 5 minutes. Be very careful in removing the excess dust after finished. I used a paint brush very gently. After a few tests, I came onto this bitmap as a good balance of white and black. I think the 10 lines/cm in the halftone screen is the highest density replicable by this laser cutter. 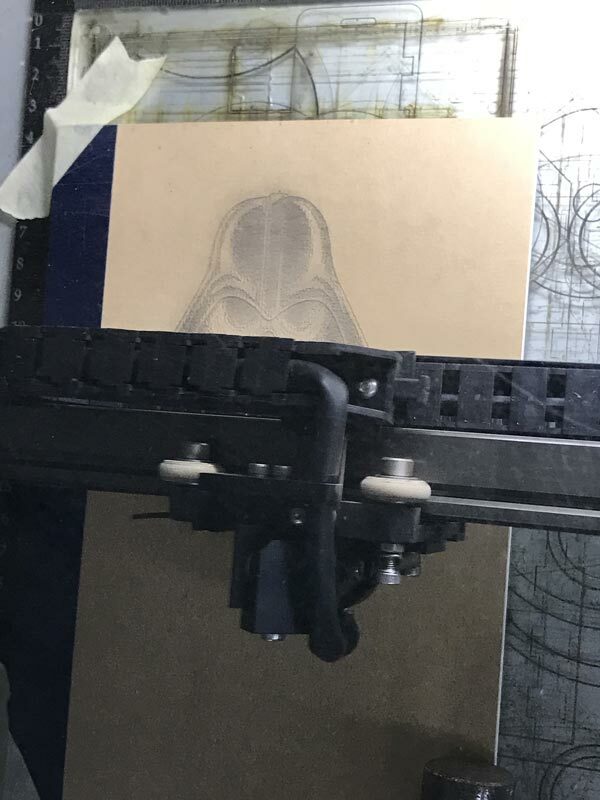 More lines/cm starts to cut into the white space making the fabbed image appear a little darker than the screen image. Have fun. Fab responsibly. Fab or die. Fab to live. Fabby Fab. 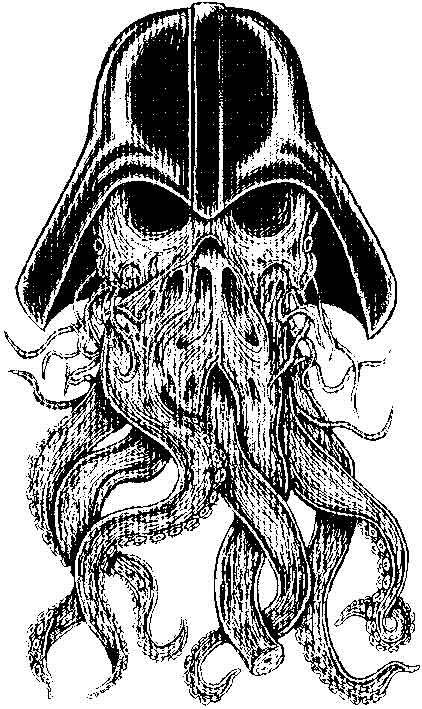 Buy a Darth Cthulhu Print : The source image I modified.